Dutch brand Nuna is famous for the Nuna ZaaZ highchair. Launched in 2007, it set the standard for ingenious, safe and flexible product design. Today, the Nuna range includes Nuna highchairs, Nuna all-round pushchairs, Nuna i-size car seats and Nuna travel cots. What is the best Nuna stroller? Great for the family that loves to travel: the Nuna Pepp Next Pushchair is an amazing piece of design. It folds down, luggage-style, and can be easily wheeled with a single hand. Therefore, it's perfect for the family that love to travel. Its canopy is removable, with Nuna's trademark Dream drape to encourage sleep. Despite being the simplest pushchair in the range, it's still packed with luxury touches, such as a leatherette pushbar that's easy to adjust to meet the pusher's height. Its sprung suspension and lockable front swivel-lock wheels makes the Pepp Next a dream to push and steer. 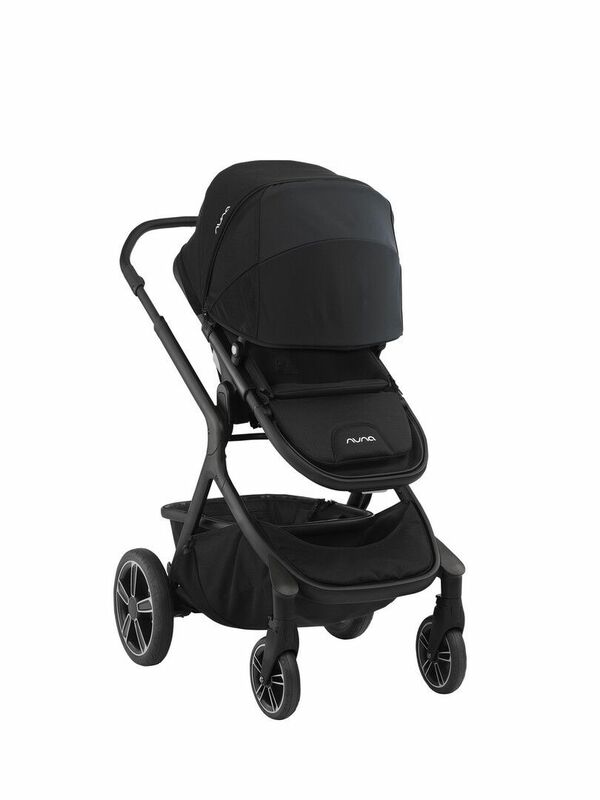 Perfect for the longer parenting haul: recommended from six months to around six years: the Nuna Ivvi Savi Pushchair is a great long term buy. Its practical, industrial design will appeal to modern parents. It features a five point harness to secure your newborn, which can be changed to three-point as your child grows. The seat can be reclined into three different positions with just one hand. Like the other pushchairs in the range, it features Dream drape to aid sleep. For when it's cold, simply simply zip little feet into the Nuna Ivvi Savi Footmuff. Baby decided he's too hot? No sweat - just lift the front flap to get some air to those tootsies. Ideal for growing families: The Nuna Demi Grow pushchair is a feat of engineering with a prestigious Red Dot design award to prove it. Enjoy using the Demi Grow stroller with one child, and then when the time comes, transform it into a double using the Nuna Demi Grow Carrycot or the Nuna Demi Grow Sibling Seat. In single mode, a huge 'market basket' will safely carry everything you need while out and about. 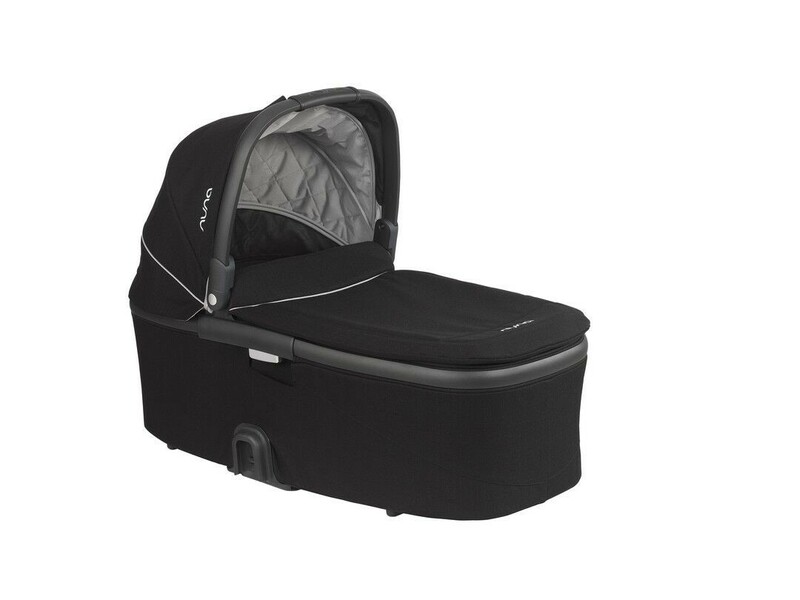 The upper seat can be clicked from upright to recline while the Dream drape acts as a canopy to keep baby asleep for longer.It also features fenders, a raincover and foam filled, puncture proof tyres. It can be used from 6 months to 15kg. Got another baby to transport? The basket space can be swapped with the Nuna Demi Grow Sibling Seat, or Nuna Demi Grow Carrycot, allowing your newest arrival to travel safely underneath your toddler. The Nuna Demi Grow pushchair has an amazing 33 travel mode combinations, so it's amazingly flexible. Whether your baby wants to sit upright, tilted back or flat, in forward or parent facing mode: you can do it! Which Nuna car seat should I choose? The Nuna Pipa Icon car seat is a perfect first car seat. 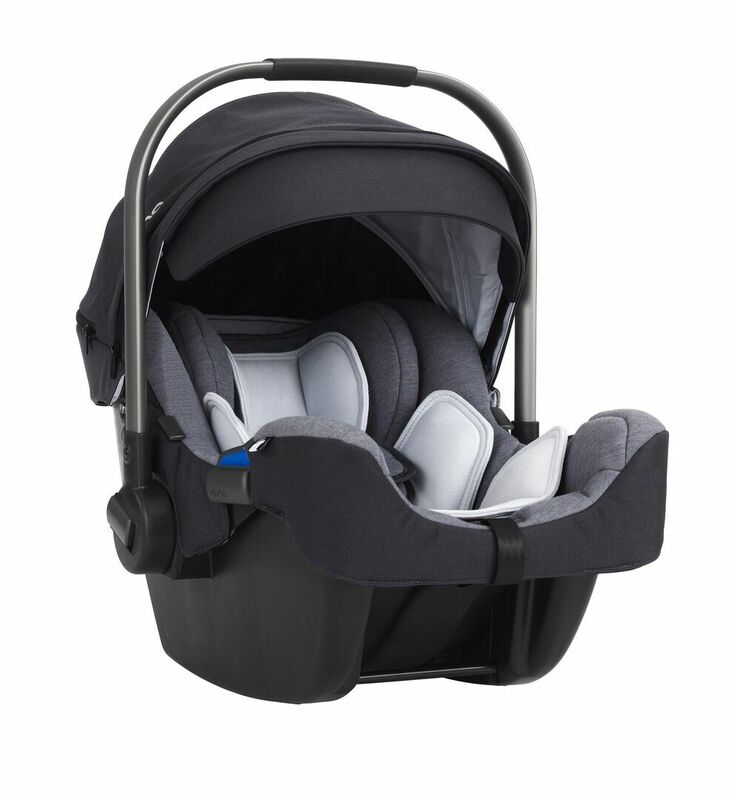 Suitable from birth until 13kg, this backward facing Group 0+ car seat can be fitted with the Nuna PipaFix i-Size Base. It features memory foam to mould around your baby's shape and has head and body inserts, allowing you to tailor the seat for a perfect fit. In, Spin, Go! the Nuna NORR i-Size Car Seat is an i-Size car seat, meaning it conforms to a new wave of EU approved car seats that assess suitability by length/height rather than weight. 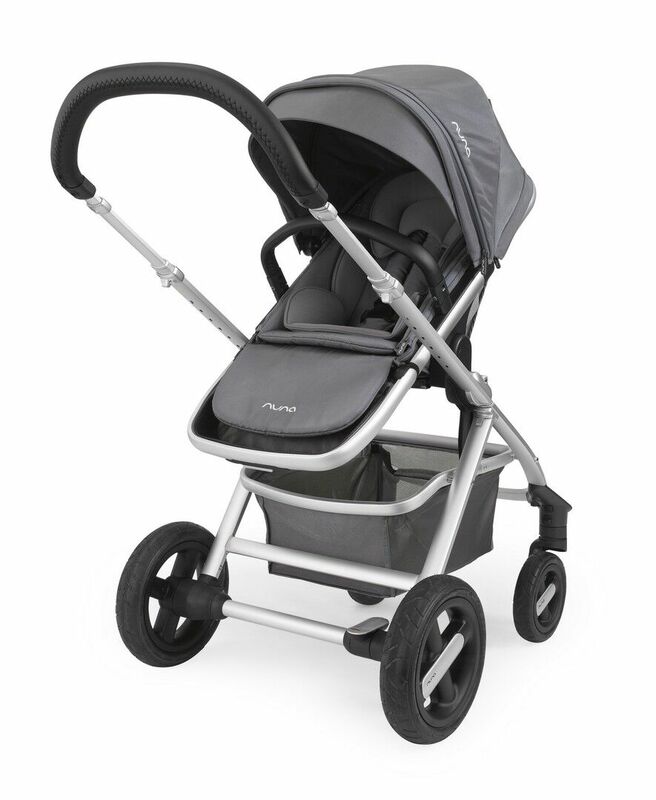 Using the NORR, your child can travel the safest way from 40 to 105 cm - approx. birth to four years. 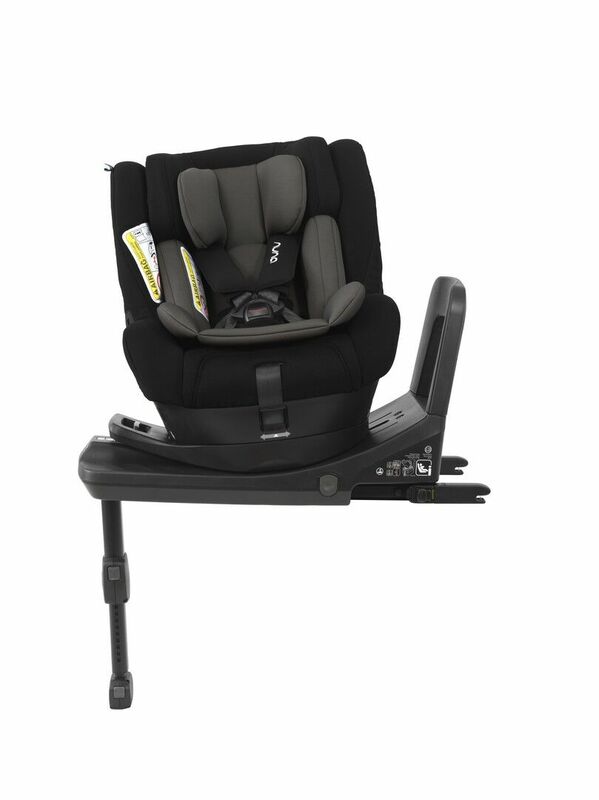 It is rear facing, which is proven to be five times safer for your child, and is Swedish PLUS test approved. The Nuna NORR rotates on its base, making it possible for your child to stay rear facing for longer. It also makes getting your child in/out of the car far kinder on your back. It features memory foam and removable head/body inserts for maximum side impact protection. Moreover, the headrest can be clicked into seven different positions using just one hand. The Nuna Rebl Plus i-Size car seat is i-Size compliant, which provides extra protection for little ones under 15 months old. So, it's rear facing, although unlike the Nuna NORR i-Size Car Seat, it can go front-facing too. Suitable from 40 - 105cm (approx. 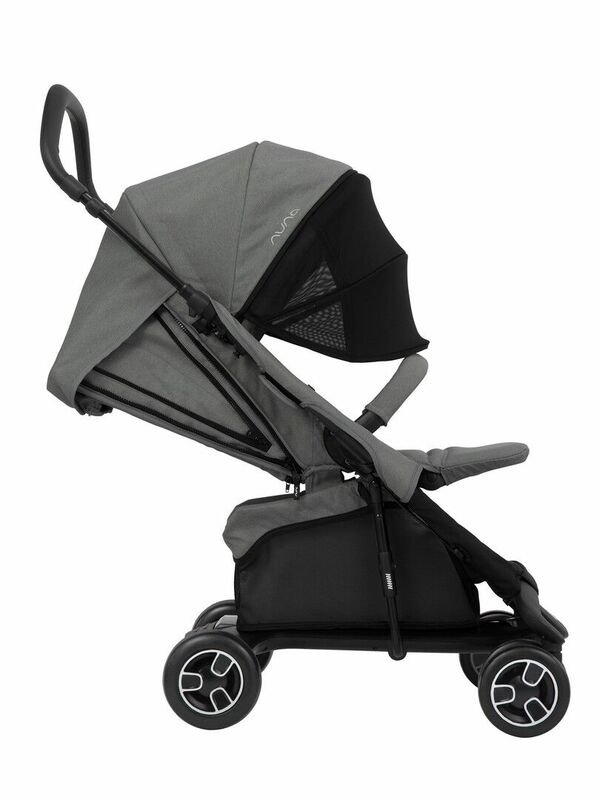 birth to four years), the Rebl has a 360 swivel to make it easy to get your baby in and out of the car. 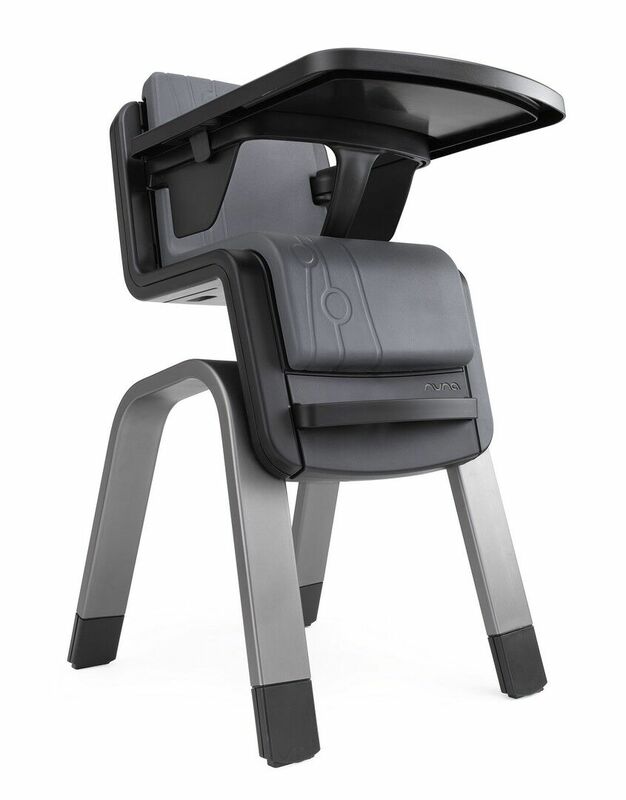 The seat itself can recline into seven different positions to suit your child as she grows. Its soft memory foam and removable inserts sit inside a seriously tough steel frame which is 35% stronger than any Rebl model produced. 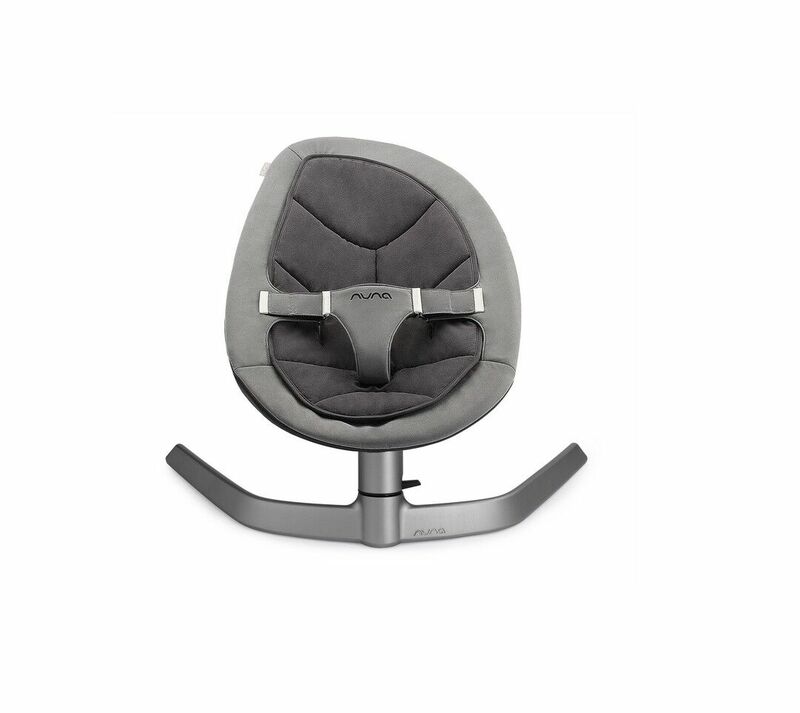 What is the Nuna Zaaz Highchair? The Nuna Zaaz Highchair is where it all began for this Danish brand. Launched in 2007, the ZaaZ is a beautifully designed highchair that makes children's mealtimes a breeze. It has a host of features that mark it out. First, the chair is easy to adjust. Simply glide it up and down - right up to your own dining table if you wish. Second, it has an air foam cushion, so it's really comfy and will stop baby from slipping out. Finally, the Nuna Zaaz Highchair takes a weight of 100kg - so your child can continue using the chair once they're toddler days are over. Simply remove the tray and arm bar. Oh, and we nearly forgot: all the components are dishwasher safe so you can say goodbye to sticky, crumby highchairs. What else is in the Nuna product range? Do your arms tire when physically rocking baby to sleep? The egg shaped Nuna Leaf Baby Rocker does the hard work for you. Give it a little nudge and the Leaf rocker will begin a two-minute calm side to side rocking motion, calming and soothing your little one into dreamland. Unlike other baby rockers, this one is silent - no batteries to change, or electronic lullabies required. The Leaf is versatile too. Simply lock it into stationary position and use as a feeding station. We predict that your baby will love the Leaf so much that you'll want to take it outside for fresh-air naps. Simply pop on the Nuna Leaf Canopy and your baby will be rocked to sleep without being bothered by bugs and bees. This is a good-looking travel cot but the real joy of the Nuna Sena Travel Cot is its unique zigzag design. Unfold with one pop and refold with just one hand - perfect for time-pressed overnight stays. The cot's soft edges keep little fingers safe while the cot itself is slightly lifted above the ground, keeping draughts at bay. It includes a soft, quilted mattress that'll provide plenty of support while baby sleeps. 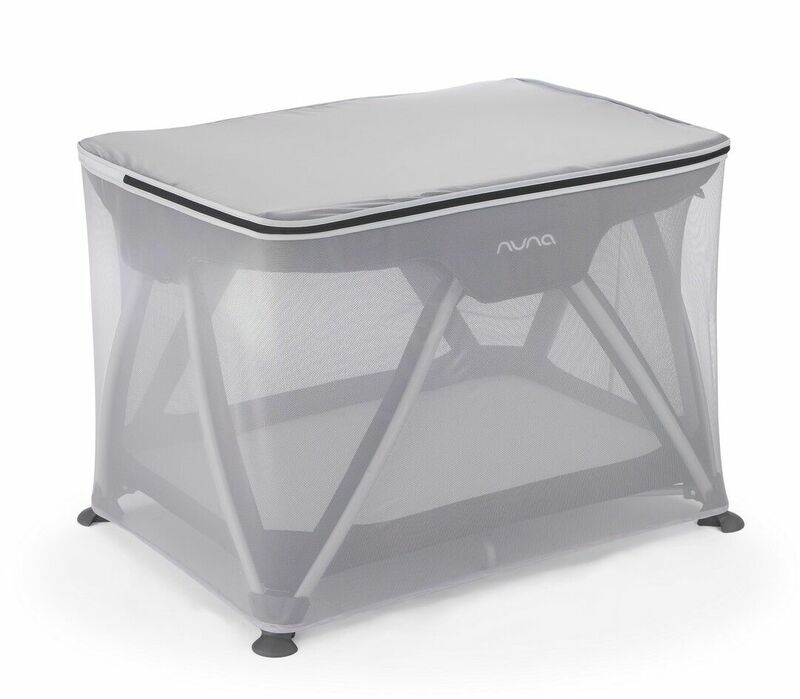 The Nuna Sena Travel Cot can be used from birth until 15kg, so around aged 3. During this later time, you'll likely be potty training, so pop on the Nuna Sena Waterproof Sheet to protect against nighttime accidents. Holidays can be ruined by mosquito bites, so if you're heading abroad, then the Nuna Sena Insect Net is a smart purchase. It forms a snug fit right over the cot, keeping mozzies out. This elegant changing bag has all the space and storage you need to head out for the day. 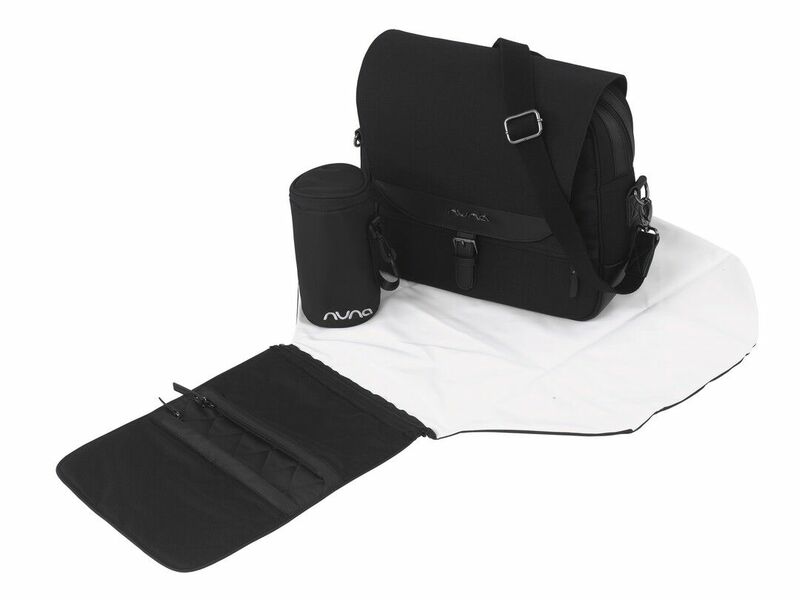 The Nuna Diaper Bag includes a changing mat, bottle bag and seven mesh pockets to store nappies, muslins and all your essentials - and even has enough space to fit your laptop. Wear as a cross-body bag, on your shoulder, or as a backpack... your choice! All of the Nuna products featured here are available with free 48hr UK delivery on products over £50 at BuggyBaby.